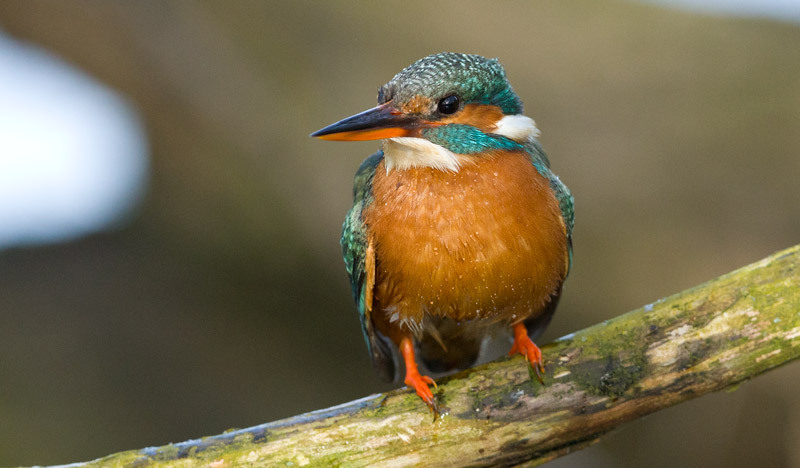 The first thing to be aware of is that photographing Kingfishers or any activity in the vicinity of a Kingfisher nest requires a Schedule 1 license from Natural England. Kingfishers are notoriously shy and susceptible to disturbance at the nest site and I follow a strict set of protocols when visiting a nest site to avoid disturbance. The ideal vantage point is a hide that can be entered without any risk of disturbance, however, sometimes hide locations for close up work require me to move across an area of bank close to the burrow, and if I’m seen entering or setting up a blind the Kingfishers will be disturbed. Fortunately there are techniques that can minimize the risk. Although behavior changes throughout the breeding season, Kingfisher’s are reasonably predictable, so for instance while brooding I can be reasonably sure that once a change of shift has taken place at the nest burrow, the newly arrived adult will usually stay inside the burrow for at last 30 minutes (although it may be a lot longer) and the other adult will be away from the nest site for a similar amount of time. 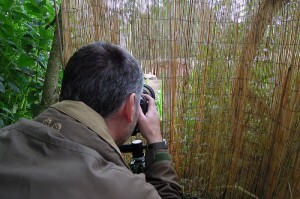 These habitual behaviour patterns give me the opportunity to observe from a distance and then at the right moment locate myself in a hide without the birds being aware of my presence. One thing for certain is that to photograph or observe Kingfishers from anything closer than 30 metres you need to be concealed. 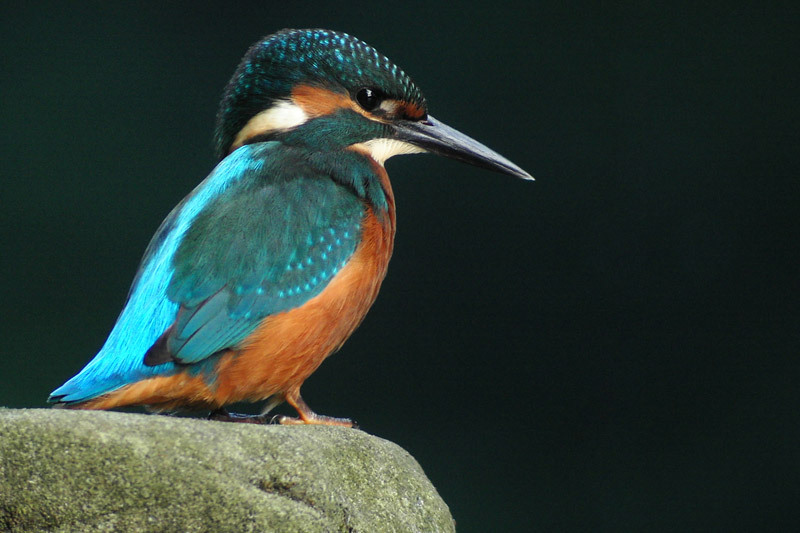 Kingfishers are very wary of humans and you usually know if you’ve disturbed them by a shrill alarm call followed by a swift exit from the area. In nesting season this can become a serious issue, as repeated disturbance can interrupt brooding or the feeding of young and cause nest failure. Once settled in a hide the next thing to do is to try and predict where the birds are likely to perch. 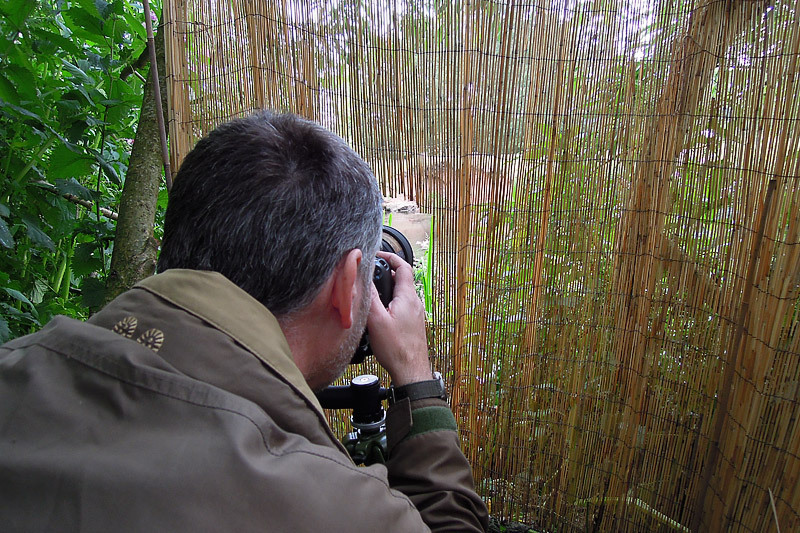 For shots taken from a distance, moving the lens slowly through the hide aperture will go un-noticed, however, when close up shots are being sought the birds become more sensitive to the movement of the lens, so being set up on a perch before the bird arrives is the best strategy. I’ve found that as I spend more time at the nest site, the birds have become accustomed to the presence of my hide, and I can now move the lens with a bit more freedom, I always err on the side of caution though, and try to avoid any overt movement that’s likely to spook the kingfishers. The other problem with close up photography is noise from the shutter release of the camera, especially when using a modern DSLR with a fast frame rate of 8-10 frames per second, the sound is something like a quiet machine gun going off, and this will unsurprisingly not go unnoticed. For flight shots I find that hi frame rate bursts are pretty much ignored, but if a bird is just sitting on a perch or preening close by and a burst of shots goes off, it will usually flush them. Fortunately my camera has a silent mode which reduces its very loud shutter. I also use the camera in single shot mode, as the birds will often perch for several minutes in front of me, so I don’t need hi frame rates. I use Canon equipment for my wildlife photography. I own a hefty 300mm f2.8 Canon lens, which I often use with a 2x converter attached. I also own a Canon 400mm f5.6, which is a truly wonderful lens & great for anyone wanting to get started with bird photography using Canon equipment. Canon also make a 100-400mm zoom lens, which is a great general wildlife lens and provides more versatility. In 2011 I started using the HD video facility on my Canon 60D and 1D MK IV DSLR’s. I love the quality of the video they can produce, however DSLR’s have their limitations, so this year I’ve added a Panasonic camcorder to my equipment with the aim of capturing footage that would be virtually impossible to capture using a DSLR. If you want to photograph Kingfishers or even just get a good view of one, the place to start is away from the nest! I would recommend trying at the point when fledglings disperse from the nest. If the adults successfully raise 3 broods this usually occurs around early to mid May and then again around late July and early September. At this stage the fledglings are dispersing away their parents territories and often congregate together, these youngsters are often a lot more tolerant of people than the adults. The image shown here is a juvenile, taken near a very well used footbridge over the River Trent. You can tell it’s a juvenile by the dull colour of the feet, which are bright orange on adult birds. If you happen across a nest site yourself, please keep in mind what I’ve said and leave it undisturbed. 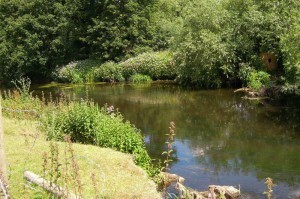 Kingfisher’s nest sites are protected from disturbance by law, but out in the field they are dependent upon our good will to allow them the peace and quite they need to rear their young. If you are an experienced photographer or conservation worker and need advice on licensing issues for Kingfishers or other Schedule 1 species, here is a link to the relevant page on the Natural England website. Bear in mind that the application process requires references and proof of fieldcraft around the nest sites of other non protected species before a license to work with protected species will be granted. Due to the licensing restrictions and the layout of the site I’m afraid I’m unable to take visitors to the nest site or to provide the location for other photographers.